SEAL or Social-Emotional Artistic Learning is the newest program coming out of The Inspired Classroom. 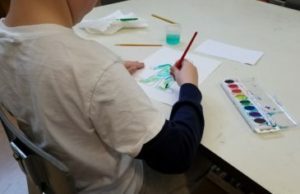 Following the principles of true arts integration and the natural connections between arts and social-emotional learning, SEAL acts to fully integrate the social-emotional learning competencies put forth by Casel.org with the arts. Learning these important skills through the arts and implementing them as a routine method in the classroom is extremely effective and beneficial to students, teachers and schools! The arts are naturally individualistic as well as collaborative. Artists of all skills and ages learn about themselves, others and the world around them in a very organic way through the arts, making the creative process a powerful vehicle to learn and practice these competencies. SEL is certainly the new buzz word in education. 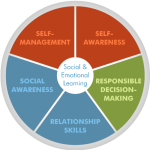 Casel.org had done a wonderful job in defining social-emotional learning for educators through 5 competencies: self-awareness, self-management, social-awareness, relationship skills and responsible decision making. Each of these competencies has a set of skills associated with them providing for a well-rounded and fully competent individual. The arts encompass a large range of skills and techniques. These include visual arts, music, drama, dance, writing, storytelling, poetry, digital media, cooking, building, poetry and many others. For the most part, SEAL works with the four art forms that are included in the National Core Arts Standards: visual art, music, drama and dance, but certainly branch out to other art forms as well. The most important part of “the arts” is that the artist, no matter the skill level, goes through the creative process. This process encompasses all aspects of the 5 social-emotional competencies in a very natural way as the artist plans, creates, refines, reflects and presents his or her work. Why NOW and Why SEAL? Social-emotional learning is becoming more and more necessary in schools as students are ridden with a variety of anxiety issues, varying degrees of trauma and social deficiencies. We teachers are finding that it is hard to teach our content because we are constantly working on diffusing conflicts, engaging busy bodies, and helping kids to calm down and focus. In recent years, teachers and administrators have discovered the benefits of taking time to work explicitly on social-emotional competencies in order for students to be better prepared to learn. Brain research proves that in order to be at full learning capacity, students need to be calm and feel safe in their learning environment. Programs, such as those working with yoga, mindfullness, growth-mindset and conflict resolution are a great way to teach students how to manage themselves and work with others in any learning environment. SEAL, takes those same ideals and adds a level of engagement and creativity, by integrating the power of artistic exploration and the creative process. Yoga is coupled with the concepts of dance, bringing together self-awareness and use of energy and motion. 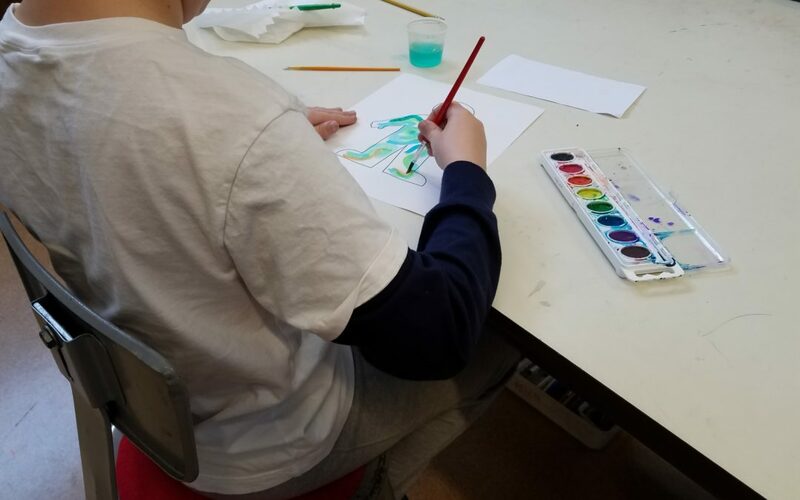 Mindfulness is explored through visual art as students create pieces that help them to focus on their current state and work to manage their emotions. Working with music can help students to build a growth mindset alongside relationships as they collaborate on compositions and work through mistakes. Drama concepts become the vehicle to explore conflict resolution as students assume roles of others, walking in their shoes to build social-awareness and empathy. The creative process runs throughout all competencies helping students build their responsible decision making skills as they question and reflect on their work. 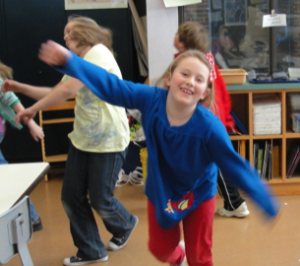 The arts naturally work with all social-emotional competencies! Be sure you are staying true to the principles of arts integration. With SEAL, you are not just adding in an art form as an afterthought or side activity. Instead, you are having students create something real for the sake of the art form as a way to learn about or practice a competency. Students are learning and practicing the art form alongside any other objectives you may have for your SEAL lesson. Be sure you are discussing the objectives you have for the social-emotional competency. As you practice mindfulness, ask questions and prompt discussions through the students’ artwork that allow them to acknowledge their self-awareness. In other words, help them to understand what it is they are learning about themselves and others as they create, explore or appreciate art. The arts have always been a vehicle for teaching this “hidden” curriculum. It is something that is naturally part of art making, performing, responding and connecting. Now, with SEAL, we can affectively have students learn about and practice these social-emotional skills that they need so much. Are you ready to check it out further? If so, go to teachSEAL.com for resources, information and a new self-paced online course to learn about all things SEAL! Art Integration Does all That?